High Speed Elevator of Premium Brand. Sprinklers, smoke detectors etc. as per NBC. CPVC & UPVC fittings for water supply (Hot & Cold). 1200mm High MS Railing with Synthetic Enamel Paint. 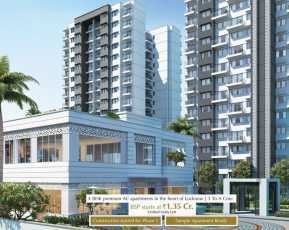 The Rishita Manhattan in Lucknow is a residential project which covers 2, 3 and 4 BHK apartments with the latest facilities to live a comfortable life. Another thing is that they provide methods for elevating the lifestyle of residents with modern facilities. 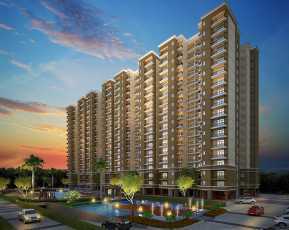 The gated complex Rishita Manhattan is a suitable one for those who want to live in a luxurious environment. All the apartments are well-designed with modern architectural styles and designs. Another thing is that they allow the residents to relax their mind in a pleasant atmosphere. Besides that, the apartments are well-connected by roads allowing people to reach the complex easily. 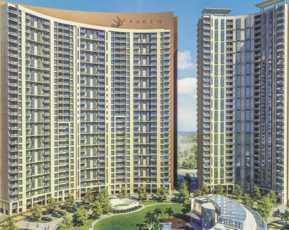 Anyone who is looking for a high-quality residential Property in Gomti Nagar, Lucknow can choose Rishita Manhattan apartments in the complex for adding more styles. The interiors in apartments are well-known for their excellent touches and finishes allowing the residents to witness complete satisfaction. In addition, one can know more about the Rishita Manhattan apartment types and other things from real estate developers for investing money depending on the requirements. It is a dream of everyone to buy a luxurious apartment that fulfills their expectation. 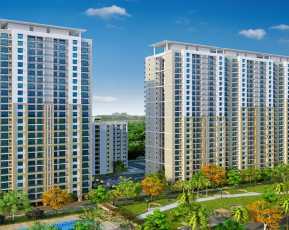 Rishita Manhattan price is available for the investors upon request enabling them to make a right decision. The floor plans and spaces may vary with an apartment and buyers can gather more information about them from our sales team select a right property based on the choices. Homebuyers can even opt for bank loans while buying an apartment and they can repay them with ease. The Rishita Manhattan project is well-connected by hospitals, colleges, schools, clubs, hotels, and restaurants enabling residents to access them quickly. The Property in Lucknow makes feasible ways for planning a new life with a family. Apart from that, it lets investors buy a property with large spaces for leading a lavish lifestyle. Those who want to become a proud member of a posh home can book an apartment in the project after making a complete research.